Going from employee to employer and becoming the owner of a small business is a challenging endeavor. Your entire lifestyle changes as the new professional duties take priority over personal life obligations. Also, your managerial skills and determination to succeed come under constant fire within the first few years of operating on your own. For these reasons and many others, buying into a franchise is a much safer and cost-effective alternative to starting a new company by yourself. However, as a new entrepreneur, you might be wondering how to choose the best franchise to ensure success and a quick turnaround. The following guidelines should help you identify the investment that best fits your future venture. When you think about owning a small business, even if it is a franchise unit, you might be inclined to pick an industry that you already know. There is a misconception that you can only excel in a field where you have already activated before. Nevertheless, the truth is that as long as you are willing to learn and have corporate support from the franchiser, the industry is not as relevant, and it can be a new and exciting experience for you. 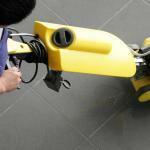 One of the fastest rising industries today is that of commercial cleaning services. Even if you have never worked in this field before, opening a janitorial franchise can be extremely profitable. Jantize is a leading expert on the market of cleaning services that offer franchise units at affordable fees that also include startup assistance. As an owner of a janitorial franchise business, you receive comprehensive training, turnkey operations and marketing advice that help you set up an enterprise for long-term success. 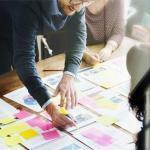 Once you have found the industry for your next business, you need to consider your goals. Think about your entrepreneurial career and how would you like your life to be mapped out. You might opt for micromanagement if you wish to have full control over the franchise operations. Or, you can choose to manage everything from afar and spend more time at home. If you have decided to become the owner of a Jantize franchise, you will receive the necessary support to make an easy decision. 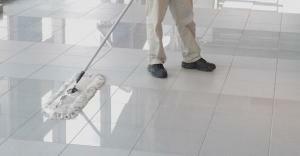 This professional cleaning service enterprise gives you flexible control over your franchise unit. You can manage janitorial teams and keep a minimal supply inventory without taking part in direct sales and make your own schedule at the same time. All that you need to do is keep the high standards of professionalism imposed by the brand and ensure top-quality results. Consider your business skills and the capital that you are willing to invest in a new franchise. If the numbers don’t add up, it is better to look for a healthy investment alternative that will not put your financial well-being at risk. As a leading company in the field of janitorial services, Jantize offers several different levels of franchise packages that you can choose from. Depending on your goals, you only need to have between $6,000 and $30,000 for the total investment fees and a minimum liquid capital of $5,000 to get started. Enter your email to get instant access to our FREE BOOKLET on our proven franchise system!